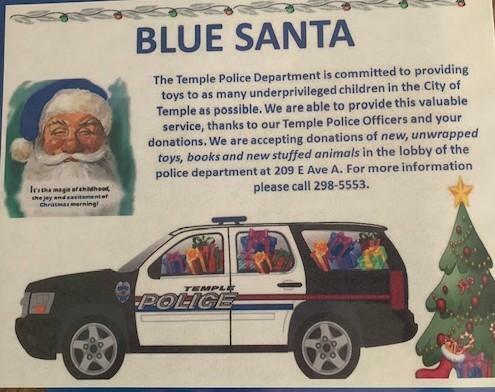 Bring in donations of new, unwrapped toys, books, and stuffed animals for the Temple PD to share with underprivileged children in Temple. Help NJHS collect donations for the Temple PD "Blue Santa". Bring in donations of new, unwrapped toys, books, and stuffed animals to Mrs. Estes' classroom now until December 21st. Help make an underprivileged child's Christmas a little brighter.